Update as of 5th November 2014 – Royal Pirates Love Toxic Autograph Session has been cancelled due to unforeseen circumstances. As such, this giveaway will not be proceeded. A huge thank you to everyone who have supported and participated! Stay tuned to our portal for more giveaways soon! Calling all fans of K-Rock band Royal Pirates! Here’s your chance to win a pair of priority queue passes to Royal Pirates ‘Love Toxic’ Autograph Session in Singapore on 10 November 2014, courtesy of Universal Music Singapore Regional. 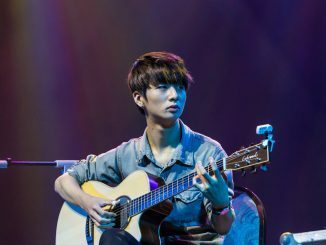 Royal Pirates will be performing alongside Lee Min Ho at his global tour RE:MINHO in Singapore, and we are pretty sure that you wouldn’t want to miss getting a closer interaction with the band at their first fansign event right here. Skip the queue and be one of the first few to receive Royal Pirates‘ autographs! 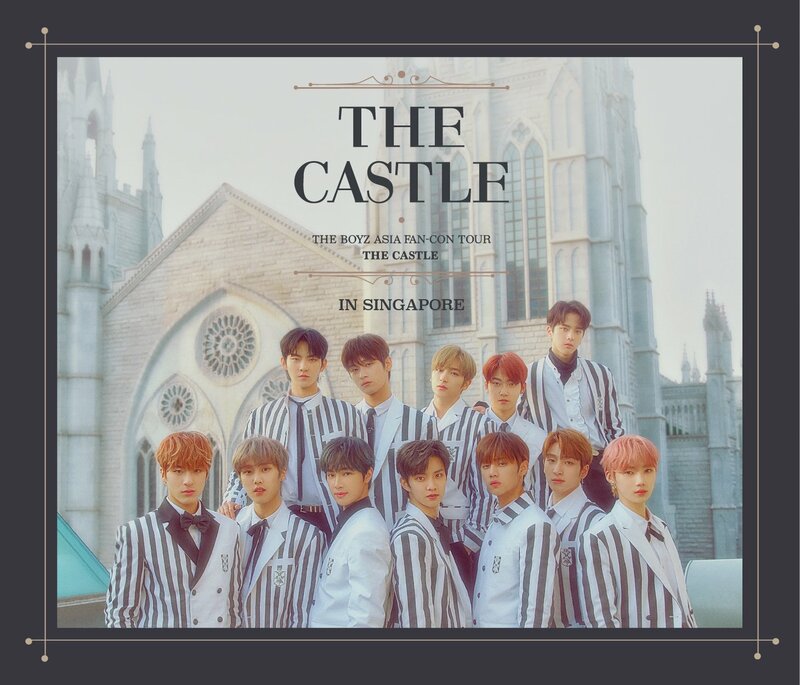 Our priority queue passes will include an exclusive postcard where the members will autograph personally for you, and best of all, you can be assured that these postcards are super limited as they do not come with the album purchase. Sounds Awesome! How Can I Participate? Multiple entries are welcomed, so start clicking and sharing away! You can share the post via Twitter/Facebook/other available platforms, but just remember to copy and paste your shared URL(s) under this post so that we can keep a lookout! Don’t forget to unprivate your social accounts in order for us to contact you if you’re one of the selected winners. Contest will end on 5th November 2014, 2359hrs. All winners will be announced across our social handles on 6th November, so be sure to check for the updates regularly! RSVP your attendance HERE if you’re heading to the autograph session. 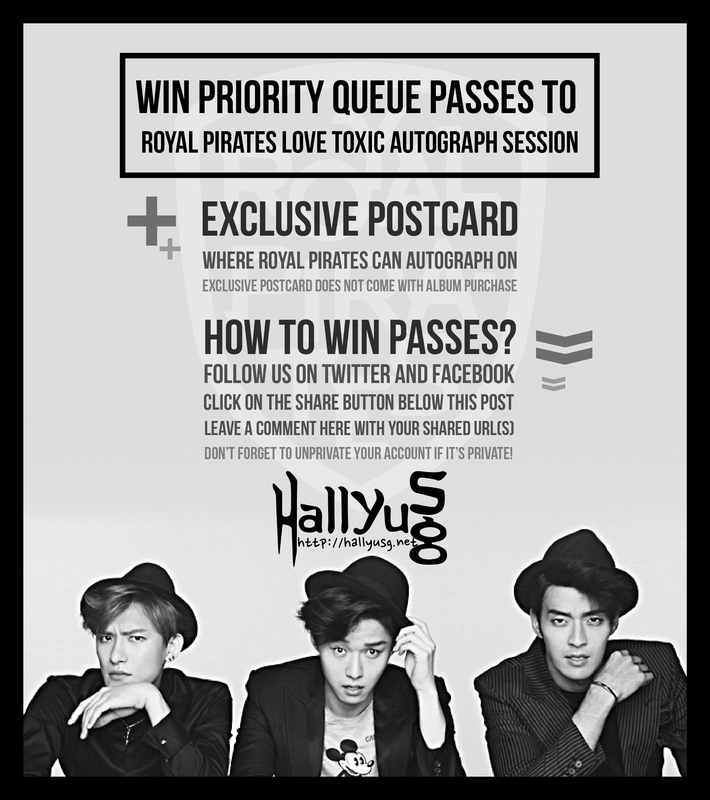 I WANT TO WIN EXCLUSIVE POSTCARDS + PRIORITY QUEUE PASSES TO ROYAL PIRATES ‘Love Toxic’ AUTOGRAPH SESSION IN SINGAPORE.